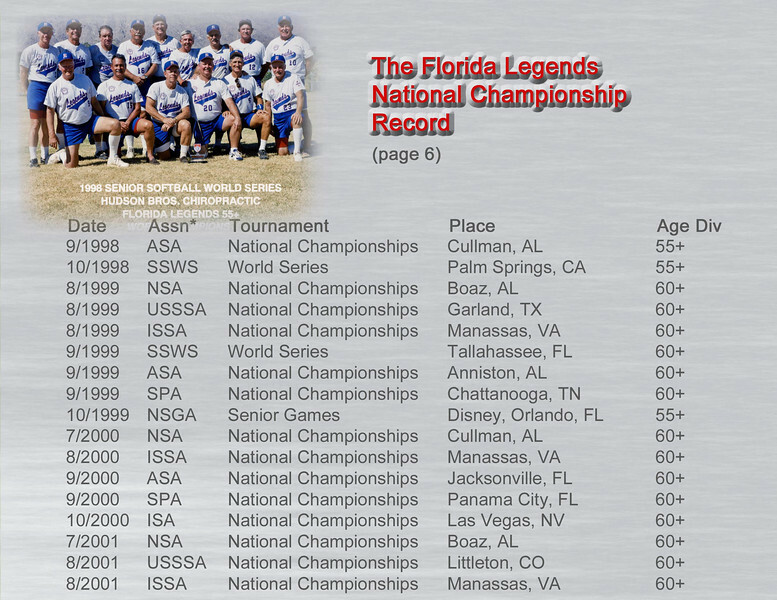 To view the photos in this gallery you can (1) slide the scroll bar on the right side, which will let you see the captions beneath the photos when captions are available, or (2) click on the "Slideshow" button in the upper right part of the screen and the photos will display automatically. 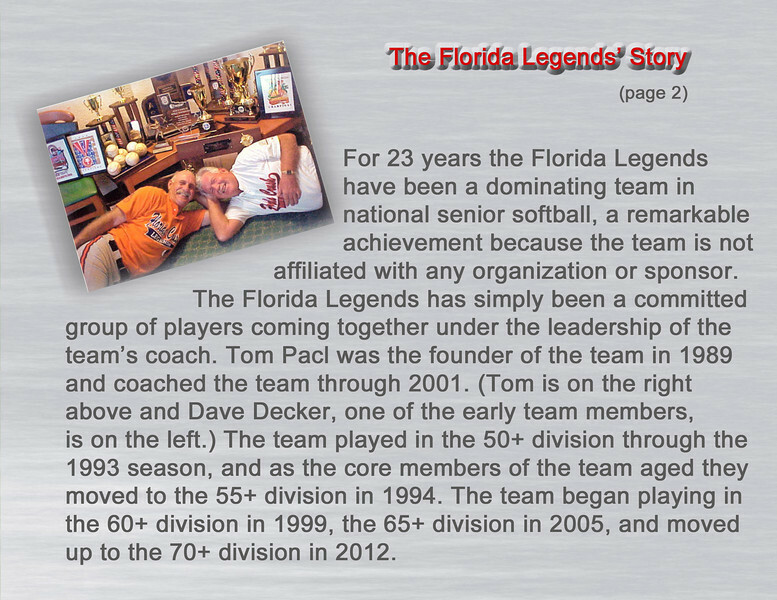 Exit the slideshow by clicking on the "X" in the upper right corner. 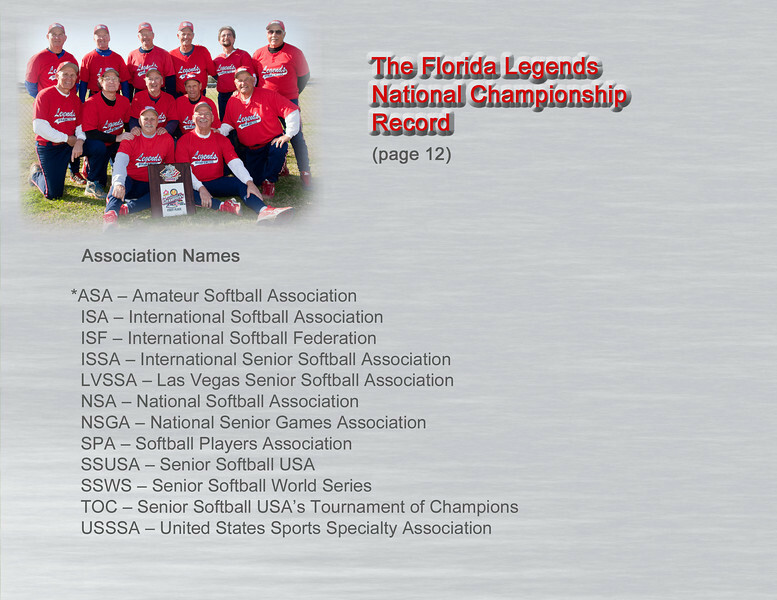 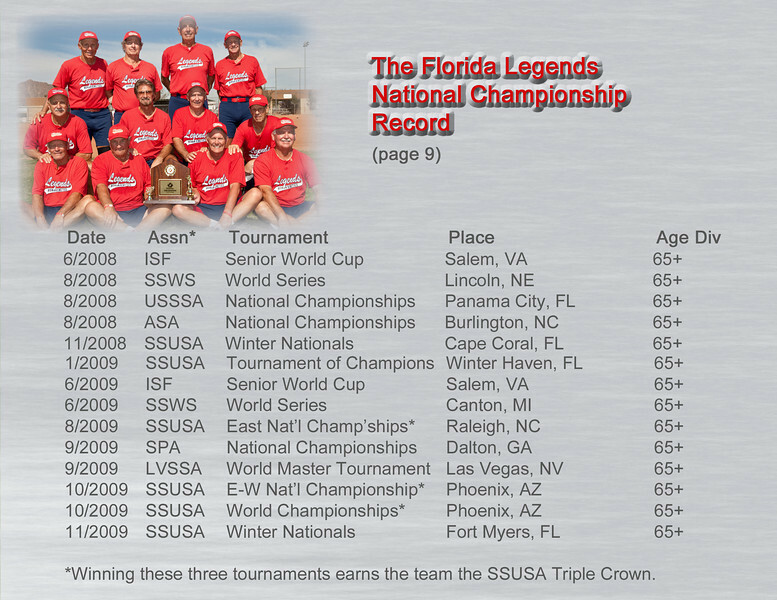 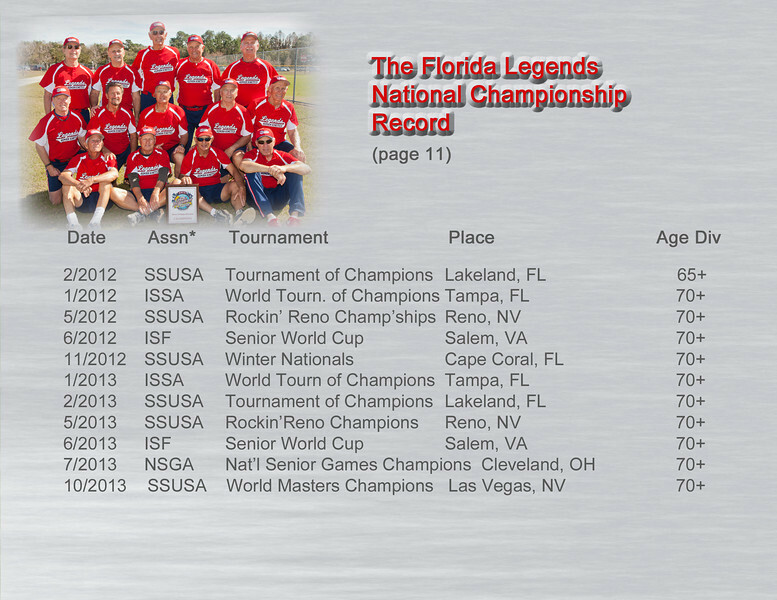 The Florida Legends is the most successful senior softball team in the USA. 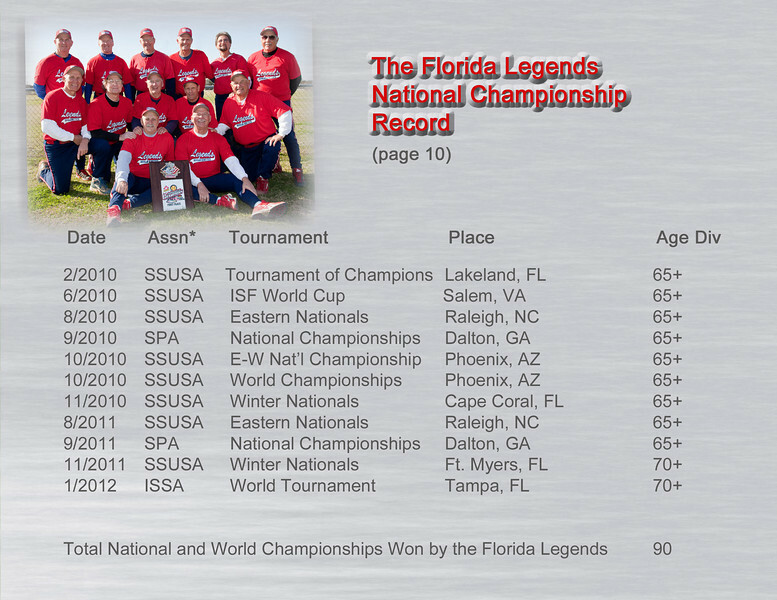 In 2012 the team moved up to the 70+, major plus division. 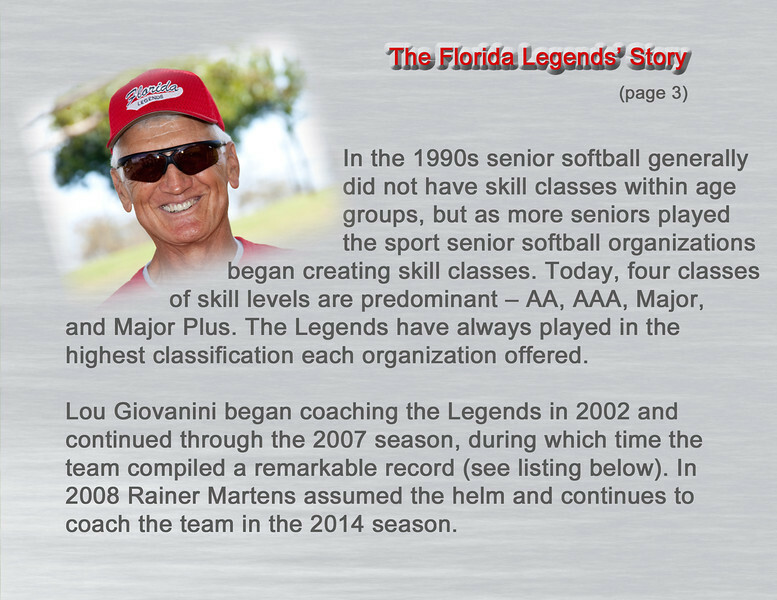 Click on each slide in this gallery and view the other year-by-year galleries. 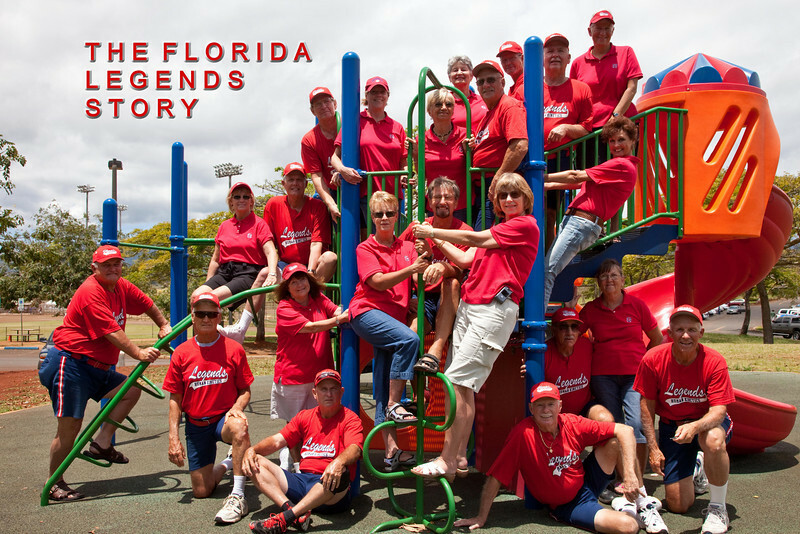 The players and spouses in Honolulu, Hawaii in April 2009. 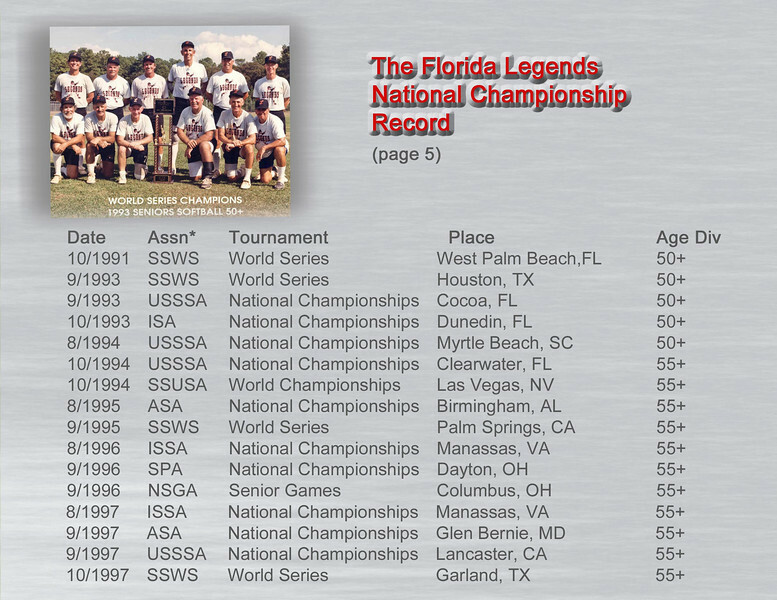 1998 through part of 2001 record. 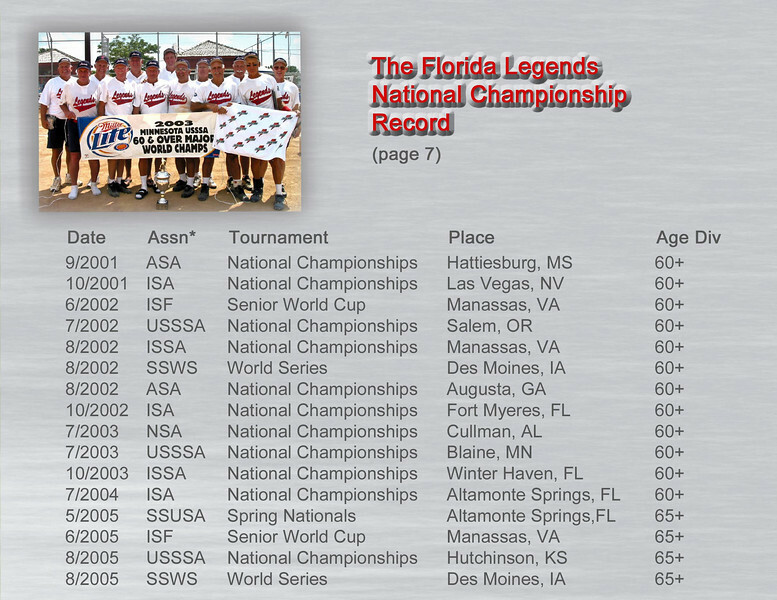 2001 through part of 2005 record. 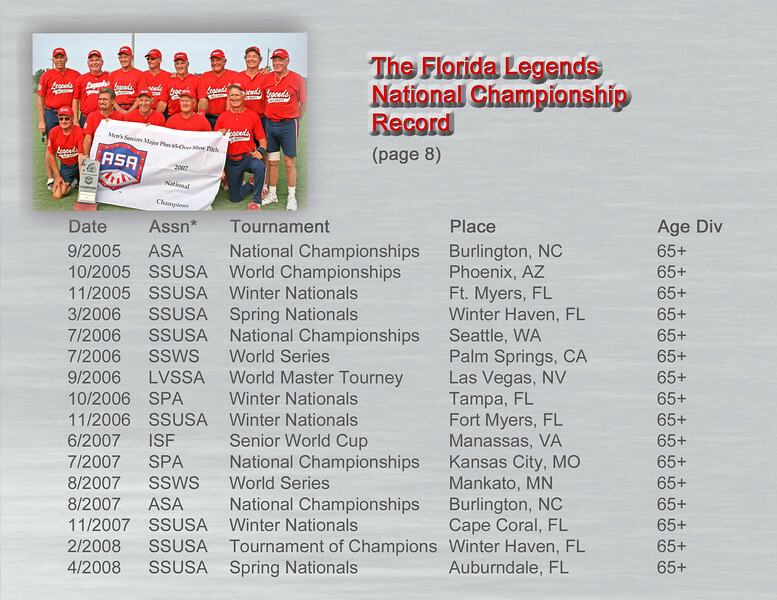 2005 through part of 2008 record.